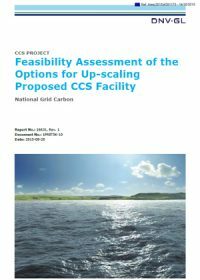 Carbon Capture and Storage (CCS) technology offers the potential to reduce greenhouse gas emissions from industrial sources by permanently storing (sequestering) carbon dioxide in deep geological formations. This Det Norske Veritas guideline describes a work process for managing the risks and opportunities associated with existing wells at CO2 storage sites. This publication is the final deliverable from the CO2WELLS Joint Industry Project (JIP). The JIP addressed industry and regulatory concerns about the potential for CO2 leakage along abandoned wells, and additionally existing wells and well conversions. The sponsors of the CO2WELLS JIP were: DNV, Shell Canada, Petrobras, Vattenfall, E.On New Build & Technology Ltd. and E.ON Gas Storage GmbH, RWE Dea AG, UK Health & Safety Executive, National Grid, Global CCS Institute, Gassnova SF and Gassco AS. 본 보고서는 정유 시설에 적용 가능한 CCS 기술에 대한 개괄적 내용을 담고 있다. 오늘날의 산업 현황과 함께 이산화탄소 배출 문제와 관련한 CCS기술의 다양한 적용 방법들을 분석하였다. 여기서는 입법에 미치는 영향과 비용 문제를 다루었으며, 문제점을 규명한 뒤 권고 사항을 제시하였다. 기타 산업 분야와 공통적인 부분이 많은 CCS의 수송 및 저장 과정에 관한 측면은 간단히 언급하였다. This recommended practice provides guidance for managing risks and uncertainties during the whole lifetime of a CO2 pipeline, including design, testing, inspection, operation, maintenance, and de-commissioning. 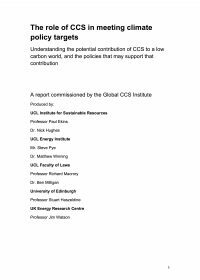 The document incorporates lessons learned from existing CO2 pipelines.